Giving up alcohol for a month might help you feel better in the short term, but no-one knows if taking part in these campaigns promotes long-term healthy drinking habits. July on the doorstep means many people will be taking their last drinks until August. Australia’s Dry July annual campaign to raise funds for people affected by cancer is about to begin and thousands have pledged to abstain for the month. 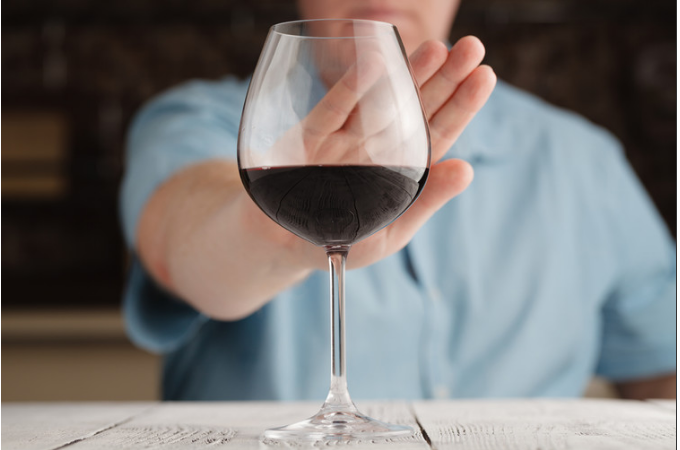 Dry July and similar campaigns – FebFast, Ocsober, Dry January and On The Dry – say they raise awareness about alcohol and aim to positively influence our drinking culture, while raising money for charity. Given these campaigns started when concern about binge drinking was peaking around 2008, they are sometimes referred to as exercises in binge sobriety. However, do these campaigns change an individual’s drinking habit or a society’s drinking culture? Or are they just novel fundraisers? The evidence is mixed. While these campaigns can provide some health benefits to you and the people around you, they don’t target binge drinking. And no-one has looked at their long-term benefits. 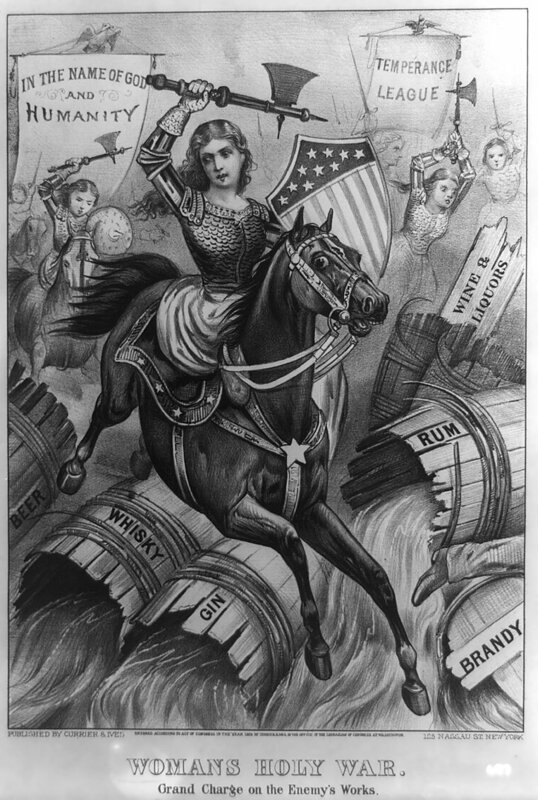 Women’s Holy War: this political cartoon from 1874 features temperance campaigners (alcohol prohibition advocates) as virtuous, armoured warriors. Currier & Ives/US Library of Congress/Wikimedia Commons. Temperance leagues associated with Protestant churches were popular throughout the English-speaking world in the 19th and early 20th centuries. 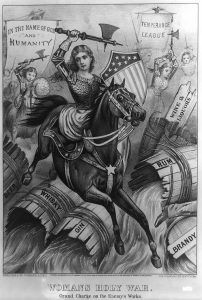 These groups required members to pledge lifelong sobriety and lobbied governments to restrict the sale of alcohol. As these movements waned following the repeal of prohibition in the US in 1933, the funding, research and policy focus of governments and public health officials shifted to dependent drinkers. The medical community first made dependent drinkers objects of medical concern and then self-help groups gained in prominence and argued total sobriety was the only way to manage problem drinking. Although Australia’s FebFast, which began in 2008, was the first such campaign worldwide, the two other Australian initiatives (Dry July and Ocsober) were launched later the same year. Finnish, British, Irish and Québécois versions followed. Ireland has its ‘On the Dry’ campaign. Most capitalise on New Year’s resolutions, being held in January (or for those who need a second shot, in February), but October events are also held. The month-long format and philanthropic link are common, as are 24-hour passes that can be purchased to authorise drinking, for instance for a special occasion. Hello Sunday Morning, an independent Australian initiative, promotes a longer commitment but requires neither total sobriety, nor fundraising. Instead it uses digital communication, including some paid personal coaching services, to support at-risk drinkers to be more mindful about their consumption. Taking a month-long break from alcohol can in the short term improve your liver function, help you lose weight and improve your sleep. It also reduces your likelihood of drinking as much over the next six months. For people who often give up alcohol for a month for health and well-being reasons, these outcomes are likely to count as success. Various studies also point to short- to medium-term benefits, such as weight loss, better sleep, more energy and improved liver function. Such benefits can even extend to those around them, with a sort of halo effect because drinking is often a social activity that relies on more than one drinker. However, campaigns don’t strictly measure success in these terms. Some aim to change drinking cultures, with various success. They do not influence the kind of problem drinkers, such as young (and potentially violent) binge drinkers and older daily drinkers, who make the headlines. But they make it easier for people to choose not to drink because they have normalised the option of not drinking. And the more popular these campaigns become, the more socially acceptable it is to abstain. Such campaigns also allow people who usually drink without too much thought to consciously observe the effects of alcohol on their health, productivity, mood and relationships.